It can be tempting to use the solicitor that the house builder’s helpful, friendly sales advisor suggests. Buyers could be moving to a new area or they may never have needed a solicitor before. Whilst it is not generally a good idea to choose a conveyancing solicitor on the basis of cost, it is essential that all new homebuyers choose solicitors that are completely independent of the house builder, one that will act solely in the buyer’s best interests. It is a good idea for new homebuyers to ask for the house builders’ list of “preferred” solicitors. They can then be certain not to choose one of those firms and know that the solicitor they do use definitely does not have any conflict of interests. I frequently come across new homebuyers who have problems that occur or are made worse, not least because they have been coerced or financially incentivised into using the house builder’s choice, suggested, preferred or “nominated” solicitor. Floorplans have been around for years as far as new homes are concerned. They are essential, especially in the early stages of a development when the show homes are yet to be built and for “off Plan” sales. In addition, not every house type or variation will be available to view before it is released for sale. But with the advance and popularity of online portals such as Rightmove and Zoopla, floor plans have become more Homes marketed without a floorplan are very likely to be dismissed out of hand by those searching for a home online. This is even more likely the further a buyer lives from the property. The floorplan should be fully dimensioned with both imperial and metric measurements for each room. This enables buyers to easily determine individual rooms sizes and where the measurements refer such as into a bay window or alcove. The total floor area in square feet/metres should also be shown, enabling potential buyers to compare floor areas and value against other properties. As new homes and room sizes become ever smaller, with UK new homes being some of the smallest in Europe, the size of the average UK new home is just 76sqm (818sqft); a relatively new four bedroom house can have the same floor area as a 30 year old three bedroom home. 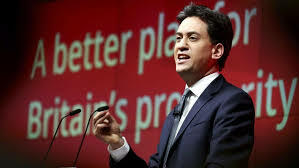 Ed Milband announced this week, that if Labour triumph in next weeks’ election, he will abolish stamp duty for three years to help first time buyers buying homes costing up to £300,000. At this level, the maximum saving in stamp duty land tax will be £5,000. 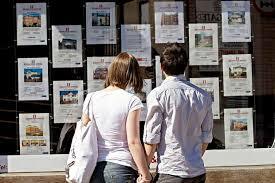 It is being claimed that 90% of first time buyers will benefit. But you read it here first! On 20 March after the Conservatives announced their Help to Buy ISA in the Budget speech, I suggested it would be fairer, easier to implement and more help right now, to abolish stamp duty on all first time buyer homes up to £260,000. I also called for an end to the lucrative tax breaks enjoyed by Buy to Let landlords such as ending tax relief on mortgage interest to facilitate a flood of properties to the market, the very properties usually bought by first-timers. Whilst welcome, and a much better and effective measure than the Conservatives’ own election bribe for first time buyers – the ill-thought out Help to Buy ISA (Bisa), it will also not make homes more affordable. When stamp duty was abolished in March 210 on homes up to £250,000, treasury analysts discovered that it actually facilitated a 0.7% increase in house prices. Have you ever wondered what type of person buys a new home from particular house builders? For a bit of fun at this time of year, we came up with the idea of trying to figure out the type of people who buy new homes – their personality, background, social class etc for each of the major house builders. We already knew that new home buyers are generally people who cannot do DIY, that hate gardening, but like living with strangers looking at them watching television and have few possessions and small furniture! We also already presumed that Persimmon home buyers would mostly comprise of Sun readers, gullible people who eat bad diets and vote on X factor. Who look for homes near a tattoo parlour, bookmaker, chip shop would be essential. So this year we asked the gifted satirist “Ted Da Yonga” to come up with something. “Ted” is the author of the Mr Anthrop’s Blogspot “A tale of corporate greed, callousness and moral bankruptsy“ which started in reaction to an outrageous claim by Persimmon Homes and has since become a series of fictitious (mostly!) satirical stories based on real life situations facing the many buyers of new homes. Save energy this winter by getting your home insulated for FREE! Great news for UK home owners as British Gas says “nine out of ten will be able to get loft and cavity wall insulation for free” as part of the Energy Company Obligation (ECO). No you don’t have to be on benefits, over 60, or have minimal savings to qualify! That’s right it’s completely free – nothing to pay at all, ever! Unlike the extensively promoted Green Deal, designed to help people make energy efficiency improvements to buildings by allowing them to spread the costs through their lower energy bills over several years, rather than paying 100% in advance of energy savings. So how can it be free? The Energy Company Obligation (ECO) is an energy efficiency programme that was introduced in the UK in early 2013, replacing the Carbon Emissions Reduction Target (CERT) and the Community Energy Saving Programme (CESP). ECO places legal obligations on the larger energy suppliers to deliver energy efficiency measures to domestic energy users. It operates alongside the Green Deal and the big energy companies have obligations to spend money to make UK homes more energy efficient, through ECO. If they miss their targets, they face large fines. This is why it is being offered free and why British Gas has changed its criteria for free insulation to include anyone with a suitable home. 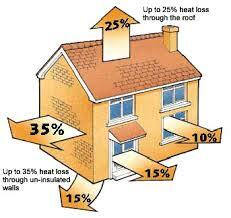 Homes that are not suitable are those built using timber or steel frame as they already have insulation in the frame. 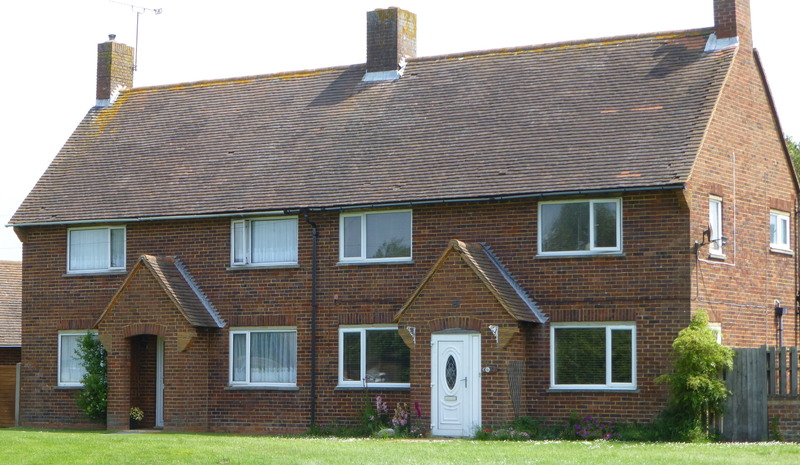 Most new homes built since 2000 will already have cavity wall insulation. Buying a home without a full survey is a false economy. Posted on 15/07/2014 by New Home Expert | Comments Off on Buying a home without a full survey is a false economy. According to The Mail on Sunday, four in every five buyers don’t bother with any home survey, let alone getting a full survey. This is despite the fact that if anything is found it can be used in negotiations to reduce the price. Buying a home is undoubtedly the biggest single purchase most people make in their lifetime. Get it wrong and it can be a mistake you could end up paying for during most of your lifetime! Compared with the other costs involved with buying a home, getting a full survey done is relatively small beer when compared to legal fees, stamp duty and mortgage arrangement fees. There are four main types of survey available. 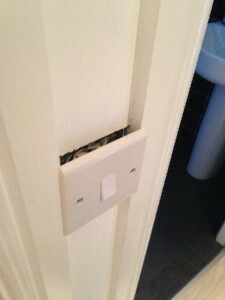 This is carried out on behalf of the mortgage lender and is not a condition survey. Do not be fooled into thinking this will give you protection and piece of mind – it won’t! A valuation survey is just that, the lender is checking the property is “valued at” actually worth the price agreed, or at the very least the amount of the mortgage. Sometimes these surveys are done by just driving past the home being bought! This is the most basic survey. It should highlight problems regarding structural movement, damp and woodworm, but it is not thorough. It will indicate which areas need attention but not what specific repairs are required. No professional advice is given. Typically, a condition report costs around £300. 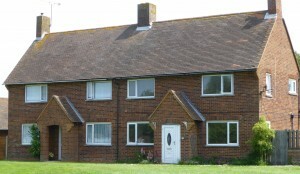 Whilst less expensive than a full structural survey, it does provide more detailed information than a condition report. The price should include professional support or further explanations from the surveyor after the inspection. However, in some cases any specific issues noted may be advised for further investigation, leaving both buyer and seller none the wiser without further specialist investigation. A homebuyer report costs from £400 to around £650. This is the most comprehensive survey and is strongly recommended, especially for those buying very old, listed, or period properties. It will provide a detailed, technical report regarding the condition of the property, highlight any defects and give advice on possible solutions and repairs. However the full structural survey is the most expensive and can cost around £1,000. As with anything, you get what you pay for! For those buying a brand new home, a snagging survey is an absolute must. There is no need for a detailed building survey as new homes come with a 10-year warranty. However, the quality of new homes is generally poor, attention to detail is often found lacking and it can be a complete nightmare trying to get any snagging defects rectified after you have moved in. Buying a new home doesn’t mean it will be problem free! Let’s face it, once a house builder has your money what incentive do they have to fix problems quickly? It is no good thinking, “it is a new home with a warranty” because 96% of new homeowners experience problems of one sort or other and getting them fixed is always a hassle. The money spent on a professional snagging inspection will always be money well spent. Compared to other surveys, they are relatively inexpensive too, typically costing from £250 to around £450 depending on the size of the home inspected. Some of the better snagging services include liaising with house builders and support after you move in too. Advice on choosing a snagging inspector. Comments Off on Buying a home without a full survey is a false economy. 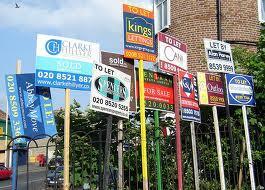 Buyers should watch out for the tricks used by the greedy when house prices are rising in a booming property market. During a transition from a buyer’s to a seller’s market, with increasing demand outstripping supply resulting in house prices rises every month, many buyers, particularly first timers, will feel pressured into buying fearing they might lose out or face higher house prices later. This brings out some of the property industry’s worst practices and probably the worst and most well known is Gazumping. Gazumping : This can only take place in a booming housing market. It is the situation when an often greedy seller accepts a higher price for their property, despite having previously accepted an offer from another buyer. Quite often the original buyer is invited to match or beat the new offer and a bidding war takes place. The original buyer can have more to lose as they may have already incurred expenses with legal fees and a structural survey.